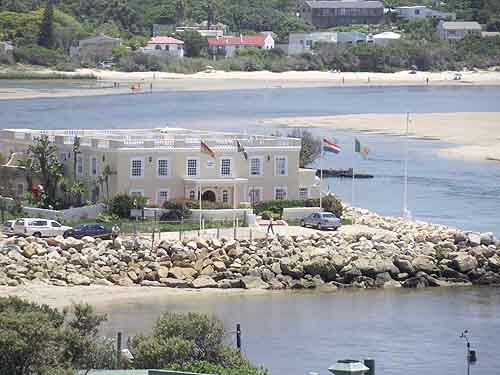 Plettenberg Bay on the Garden Route is a prime holiday destination and is one of the most beautiful places on the southern coastline of South Africa. Twelve to fifteen thousand years ago the bay would have been grass plains and people living on it would have been living 80 kilometres from the sea. That all changed when climate changes occurred causing the sea ice to melt and the seas to rise forming the beautiful bay we have today. 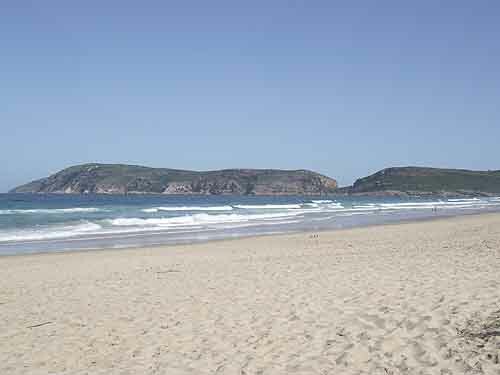 The Robberg Peninsula which used to be an outcrop on the grassy plains today forms the western boundary of Plettenberg Bay. The plains were once grazed by giant wildebeest, kwaggas and ostriches to mention but a few. The rocky outcrop known as the Robberg Peninsula was then inhabited by the Khoisan who hunted the animals on the plains and gathered roots and plants for their survival. Had they been alive today they would have had to catch fish to survive as the grassy plains are now covered by sea water. 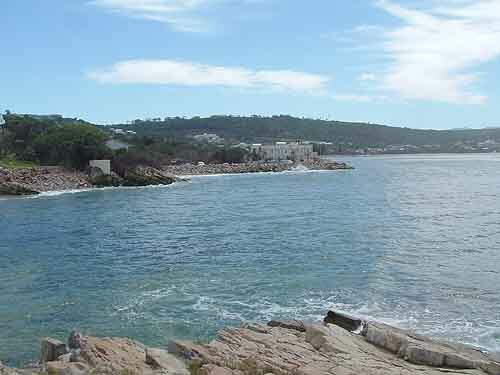 In the centre of the bay's coastline is a rocky outcrop known as the Beacon Isle. It received its name because of a stinkwood navigational beacon that was set up on it in 1772 and which was used by mariners to set their chronometers. During the 19th century the beacon had to be renewed on two occasions. Today Beacon Island is not an island in the true sense of the word. It is situated in the estuary of the Piesang River which separates it from the land but as the western bank of the river has been filled in to provide access to the island, the island it is permanently connected to the land. Beacon Island was used as a whaling station but that stopped a long while back.These days the old whaling station is gone although the old slipway can still be seen. When it was operational the whaling station had a house for its manager on the island, When whaling ceased the house was turned into a boarding house which was run by Anne Harriet and her husband Thomas Hopwood. The tradition of housing guests on the island has been continued with the building of the splendid Beacon Isle Hotel on the rocky outcrop. The hotel has become a famous landmark with its position in the centre of the bay. 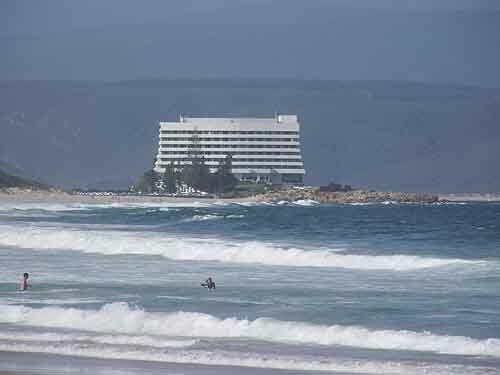 On the eastern side of the hotel in the mouth of the Piesangs River where the old Plettenberg Bay harbour once was is a small bay used by fishing boats to land or anchor. 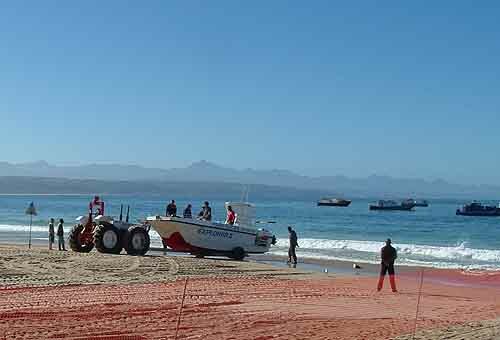 Boats choosing to land on the beach do so at speed and aquaplane up onto the beach from where they are dragged by tractors to their parking place on the beach. Sitting watching the activities of the fisherman can be quite interesting. Two hundred metres to the east forming the eastern boundary of the Piesang river estuary and bay is another outcrop of rocks known as the Lookout Rocks. These rocks are very popular with local anglers who are able to catch a whole variety of fish from them. 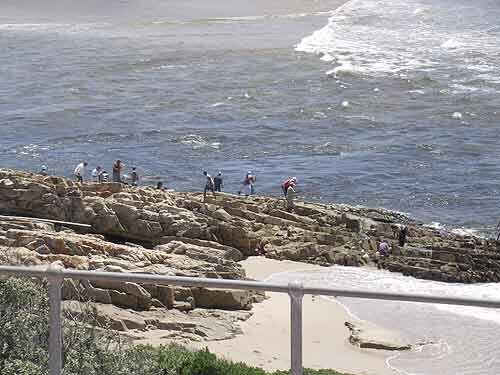 The mouth of the Keurbooms River and lagoon has over the past ten years moved from its position about a kilometre from the Lookout Rocks to right against the rocks. This has provided excellent fishing opportunities for fishermen who are now able to cast from the rocks into relatively deep water. 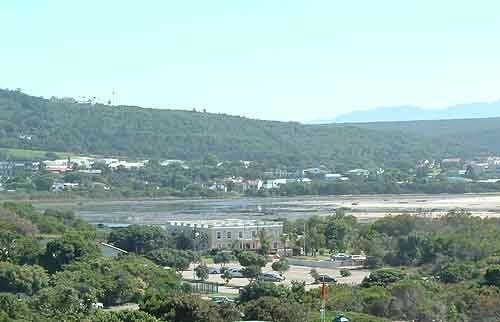 The mouth of the Keurbooms River about 5 years ago before the flood. The movement of the mouth from where it was a couple of years ago to where it is now caused much consternation. 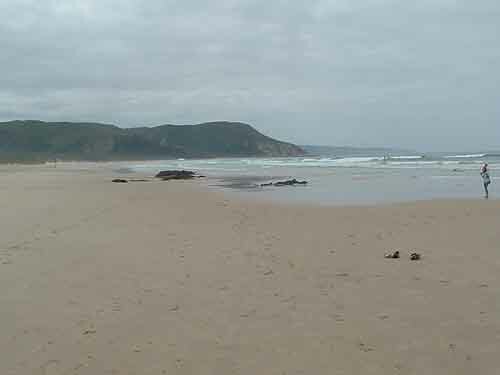 The Keurbooms river came down in flood and the strip of beach situated between the mouth and Lookout Rocks was eaten away and disappeared in the flood. Infrastructure such as roads and parking areas situated behind this strip of land were also swept away and where they once were is now a deep bay. Milkwood manor built on the western bank of the lagoon was also threatened by the floods and now finds itself in the middle of the lagoon mouth. It has taken a lot of shoring up of the land around the manor to save it from being swept into the sea. Thirty kilometres east of Plettenberg bay situated at the bottom of the Groot Rivier pass is the only village in South Africa built inside a nature reserve. 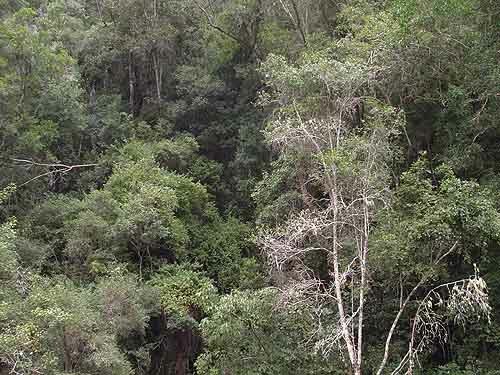 It is called Natures valley and is surrounded by the Tsitsikamma forests with its tall indigenous trees such as the yellowwood and stinkwood growing in them. 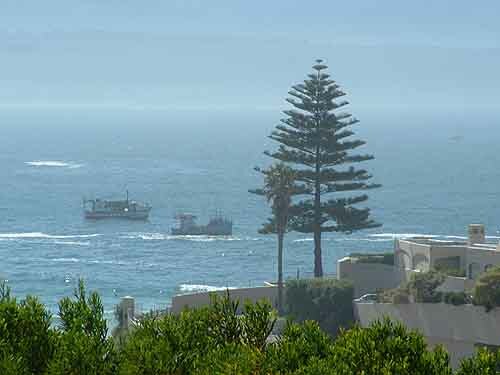 The milkwood tree which is on the endangered list can also be found in the area. This tree is so scarce that if you were to buy a plot of land with a milkwood tree on it you you would either have to build your house around the tree or build somewhere else. You would not be allowed to cut this tree down under any circumstances. Not only does Nature's Valley have all these beautiful trees and mountains on its doorstep, it also has a beautiful lagoon and miles of fantastic golden beaches which are good for both swimming and fishing. This is one of my favorite places to visit along the Garden Route. 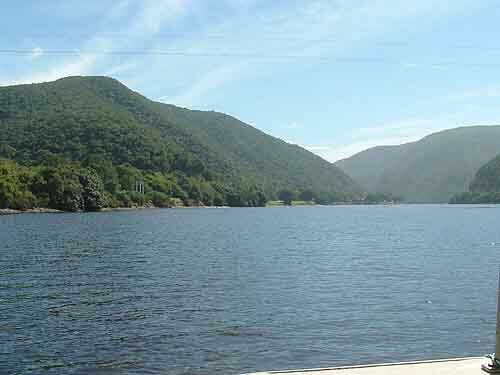 The Keurbooms River is navigable for small boats for about three or four kilometres upriver and is well worth a visit as the forests come right down to the rivers edge. As you motor up the river in your boat or on the ferry that does cruises up the river you can hear birds calling from the banks as well as the angry shouts of baboons high in the trees protecting their territories. 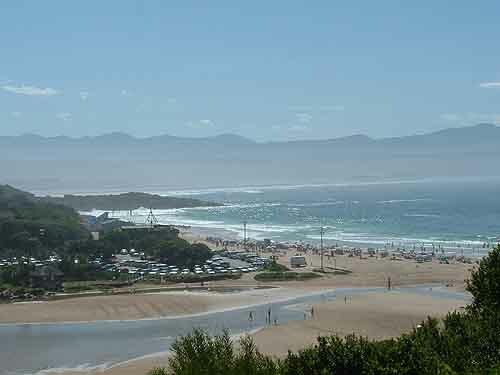 Plettenberg Bay has a number of rivers within its boundaries. 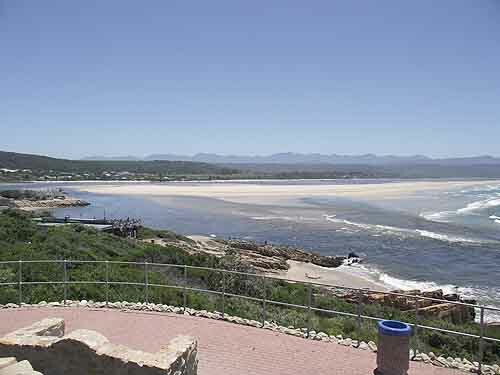 The Keurbooms River and the Bitou River to the east of Plettenberg bay form the lagoon and the river mouth which I mentioned earlier and which enter the sea at the Lookout Rocks. The trees on the river banks make up part of the one tenth of the original forests that are still left along this coastline. Most of the forests were cut down by the Dutch and British in the 19th century and used for timber. 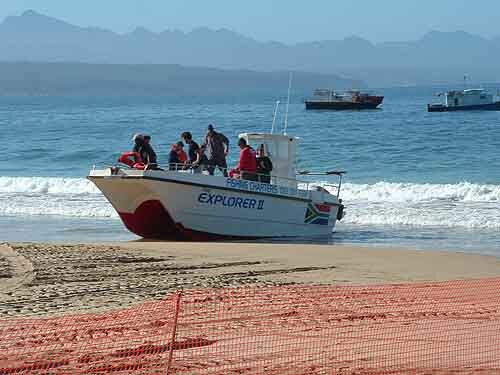 In this article I have only just touched on a few aspects of this section of the Garden Route. There is so much more to see and do. If you are going to be visiting South Africa or the Garden Route I have a number of holiday options that I can recommend and arrange for you. 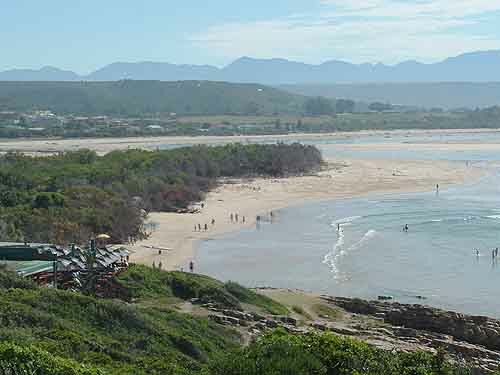 Click here to see what Garden Route vacations are on offer .